"Be Thou the Mother of Thousands of Millions, and Let Thy Seed Possess the Gate..."
Can you imagine attending a wedding where the family and friends offered the above blessing to a new bride? Yet these words of encouragement, once offered to Rebekah on the advent of her marriage to Isaac (Genesis 24:60), beautifully communicate the heart of God's command to Christian husbands and wives that they be exceedingly fruitful and raise children who will influence all of culture and society for the glory of God. There is no escaping the fact that the Bible is dogmatically prochild. In fact, it declares unapologetically that the birth of many children is a source of blessing, that a key reason for marriage is to bring forth many children for the glory of God, and that parents should actively seek such blessings. Why do so many Christian married couples chose to "cut off their seed?" What if any biblical basis exists for deliberately thwarting the birth of children? Is it ever "good stewardship" top prevent children on the basis of financial concerns? These and related questions are examined in the light of Scripture in this groundbreaking study guide for Christian Couples prepared by Nancy Campbell. Like to learn with others? like to ask questions and discuss topics? Then join the "Be Fruitful Forum" hosted by Yahoo and available through the forum links in the top menu bar. This complementary forum will encourage, strengthen and ground you in God's Word concerning this important subject. Order your copy of "Be Fruitful and Multiply - Audio Version" and enjoy the many blessings God has for those who will heed His Word. 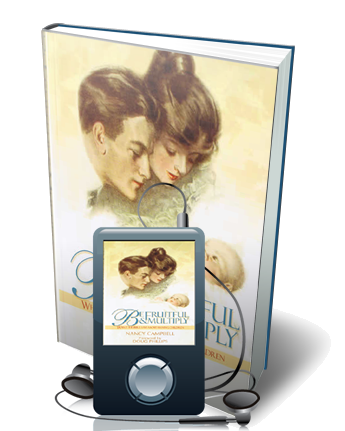 Click the button below to add the BE FRUITFUL AND MULTIPLY AUDIO BOOK to your wish list.